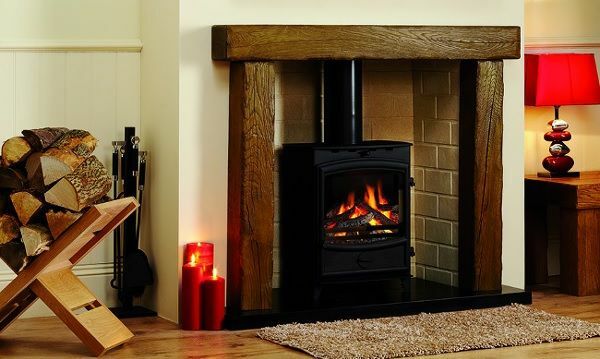 Installing a fireplace or wood burning stove in your home is the first step to enjoying the beauty and cosy warmth of a real fire that can make all the difference between living in a house and feeling truly at home. When it comes to firewood, we recommend kiln dried hardwood logs such as oak, ash and beech, for use in your real fire or wood burning stove. Why? As a general guideline, the quality of your fire logs depends on their moisture content. Freshly cut wood contains upward of 50% moisture, which explains why green wood tends to spit and crackle and not burn well. For the best firewood quality, wood should be dried to below 20%. The drier the wood, the cleaner it burns and the higher the heat output. Depending on the type of hardwood, it can take up to 3 years to season wood naturally. However, the quality of air drying firewood also depends on how it is stored. Logs must be sawn into log size and split, then stored under cover for seasoning to be fully effective. It is always a good idea to verify suppliers’ claims for ‘fully seasoned’ logs by checking the wood’s moisture content with a moisture meter. Kiln drying also removes excess moisture from timber to make it suitable for use as firewood, however it does so in a controlled environment, producing excellent reliable results of typically no more than 15% moisture content. They are free from insects and exceptionally clean, meaning less mess in your home and less residue in your chimney or flue. They weigh less than green wood or short-term seasoned logs, making them easier and more comfortable to carry. They are ready for use in your log burner or fire straightaway. They ignite easily and burn with a high heat output. Everything is burnt, even the gases released by the logs. They are better value for money than seasoned logs, as fewer logs are needed to achieve the same heat output. 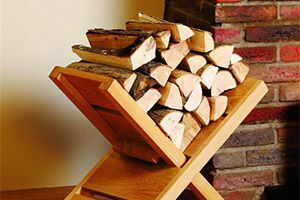 Premium kiln dried logs are available from many reputable suppliers in Surrey and across the Southeast. For your convenience, logs can be supplied in nets, bulk bags, crates or loose. Get in touch with us today for more information.